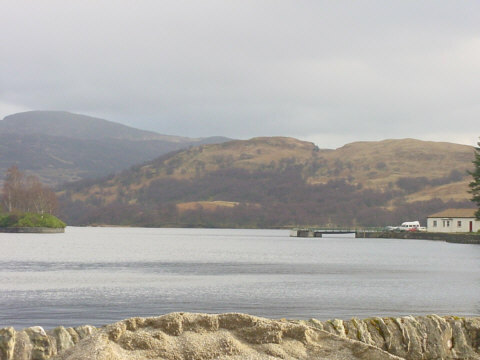 This is a picture of Stronachlacher Pier End which is located on the western shore of Loch Katrine. This picture is taken from just behind the pier and looks towards the other end of the loch. Stronachlachar is the terminus for boat trips from Loch Katrine Pier on the SS Sir Walter Scott and is now part of the Loch Lomond National Park.